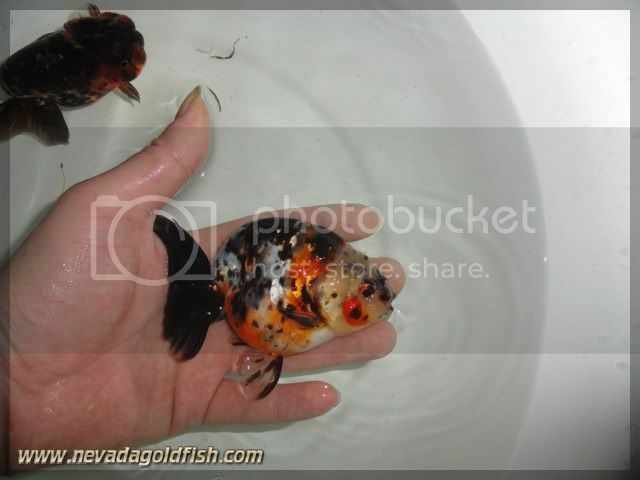 Calico Ranchu from China always great. 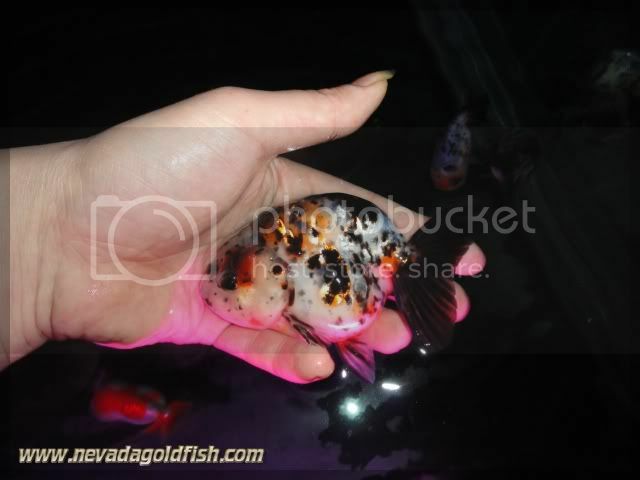 If you are calico coloration addicted, you should spend your times, costs and efforts in Chinese Calico goldfish! 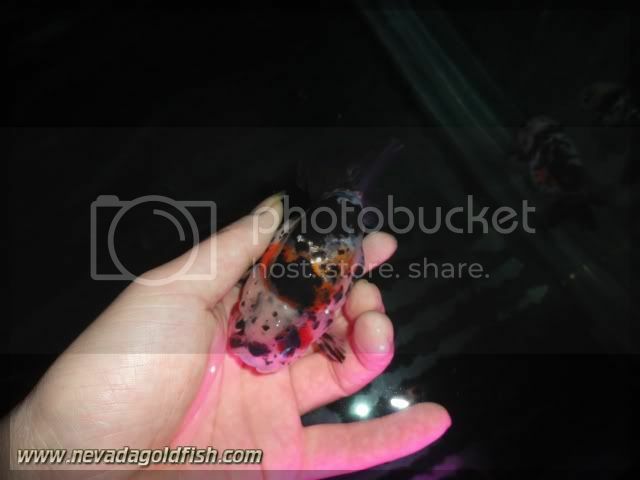 RAN024 is a good quality of Calico Ranchu. Big head, bulged funtan, wonderful coloration and smooth back curve. This makes RAN024 is worthed to be adopt by serious collector.